we hope that you have enjoyed your trip to Cannex and that you have learnt something about technologies and services at the Can Man booth, which might help you to improve your canmaking processes, increase your productivity or your day by day plant efficiency. Thank you very much for stopping by! 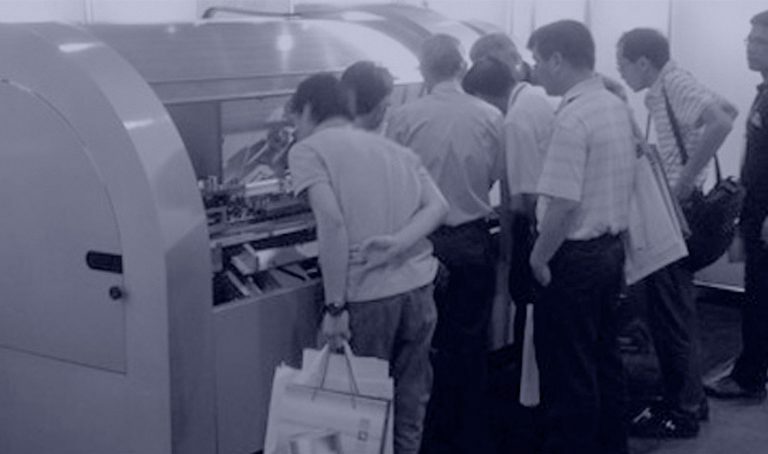 At Cannex 2009 in China we have demonstrated for the first time with our X1 high speed WeldCENTER™ the simplicity and quality of products that brought Can Man the biggest market share in Europe over the last decade. Since then a fast growing number of Asian canmakers placed their trust in our Swiss made products. Our service hubs in Thailand and China grant a fast and professional after sales service and the proof for our claim to be the BEST is that by now canmakers and canfillers who have chosen a Can Man welder, curer, slitter or any of our various upgrade kits are keep on buying our machinery, some of them already have a dozen of our products in their production facilities! No matter if you are a small or a large player, we simply want you to have top relyable, energy-efficient, userfriendly, easy to maintain, well designed and built machinery in your plant. +41 62 767 50 60 (ask for Marianne Umbricht) or email us to sales@canman.ch.